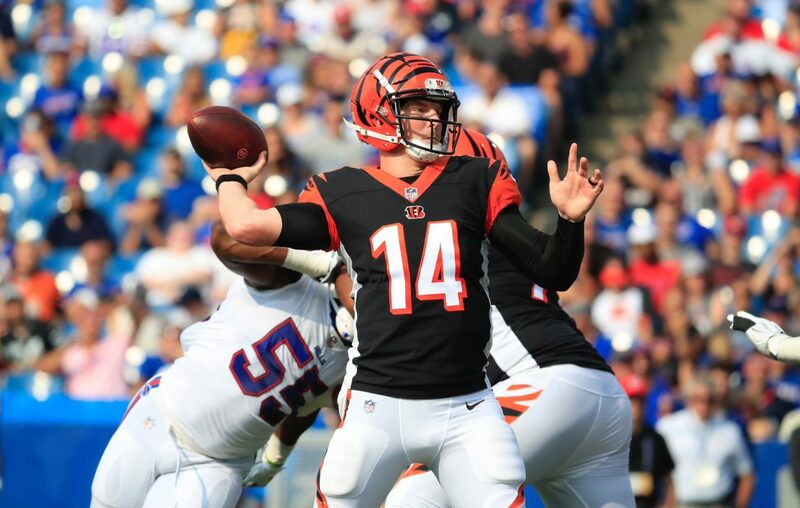 Cincinnati Bengals quarterback Andy Dalton will receive the 18th Call to Courage Award in Buffalo on May 18. The award is handed out annually by Indianapolis Colts coach and former Bills quarterback Frank Reich to a current NFL player who has exemplified outstanding character, commitment and leadership on the field and in the community. The breakfast event will be held at the Hyatt Regency Buffalo and is sponsored by the Buffalo Pro Ministry of Athletes in Action. Dalton, 31, is entering his ninth NFL season. His winning, 49-yard touchdown pass to Tyler Boyd in the final minute of the 2017 regular-season finale against Baltimore allowed the Bills to edge the Ravens for the AFC’s final playoff berth that season. Dalton is 67-50-2 as an NFL starter. Dalton is the second Bengals quarterback to win the Call to Courage Award, joining past winner Jon Kitna. The other winners of the award are: Kurt Warner, Chad Pennington, Curtis Martin, Don Davis, Bob Christian, Trent Dilfer, John Kasay, Heath Evans, London Fletcher, Ben Watson, Thomas Davis, Jeff Saturday, Kyle Williams, Scott Chandler, Lorenzo Alexander and Demario Davis. Reich led the Colts to a 10-6 record and a playoff berth in his first season as head coach in 2018. He also will hand out the High School Call to Courage Award to an outstanding member of a Western New York high school football team. The breakfast is open to the public. Tickets are $40 each, and a table of 10 is $400. For sponsorship and ticket information, call 716-559-1800 or find AIABuffalo on Facebook.